Phoenix Beer was brewed in Waterford. The second advert – also by Wilson Hartnell – is from another booklet from 1969 called Publin. was popular in carlow,south wexford,waterford and parts of kilkenny.also for some reason the border counties particuliarly cavan and monaghan.like smithwicks barley wine,a thing of the past.cherry’s also brewed steiger which was a popular lager.greta shame it was shut down,typical. That’s right, Gerry M, you could get it in the Border counties. I don’t remember it being on draught as such, but when yours truly was summer-working in hotels in the mid-70s I recall using one of those circular tin bar trays with “Phoenix” on it. There were also the wooden beer crates with the Phoenix name. Maybe its poplarity was because Macardle’s was already well-known or something? Never drank it myself and can’t quite remember when it went off the market. It was the btl beer of choice in donegal, while having a “belt” of john powers!!! 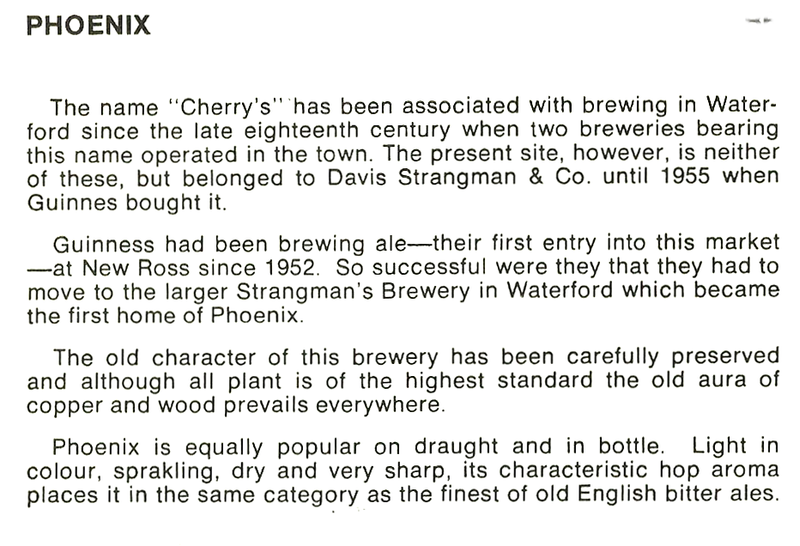 I grew up drinking Phoenix beer on draught, In the patriot inn kilmainham. My two favorite beers was Guinness and Phoenix. Why O why did they stop brewing it.? Is it really gone or are they brewing a small amount localy.? I don’t think it could be brewed locally, Brian, because the brewery (like Cairns in Drogheda and the little one in Castlebellingham in Louth) were bought over by Guinness in the early 60s and closed, so they’d have acquired the rights to it and the name etc. and I don’t think they’d let them go in a highly competitive market. What a shame all our little independent historical breweries went, although the rise of the small craft brewers in recent years is really encouraging. Much as I love (love!) Guinness stout I dislike Diageo. Diarrhoea plc I call them. Does anyone have any recollection of a Waterford or Munster Cider from the 60s or 70s? 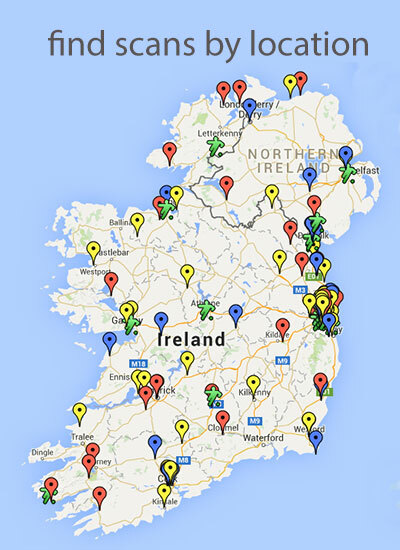 I remember Cowards in Dungarvan but surely there was more….